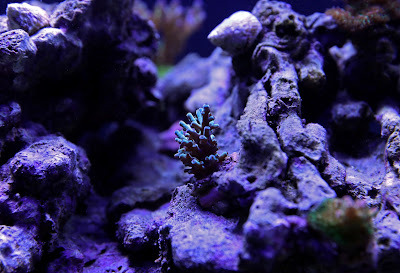 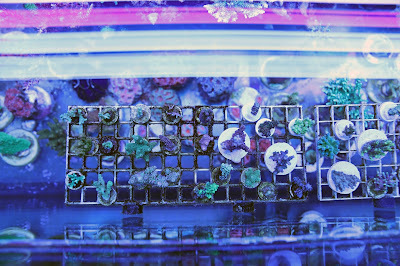 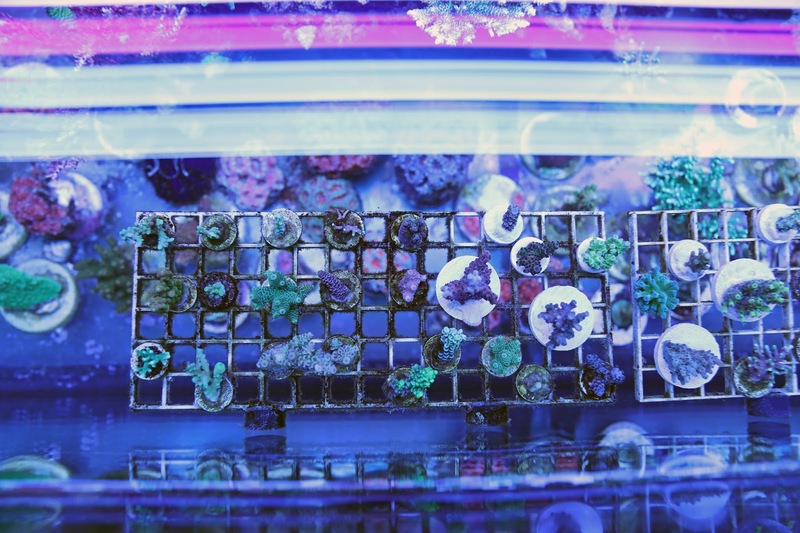 Here is a picture of some frags I have cooking for a buddy. 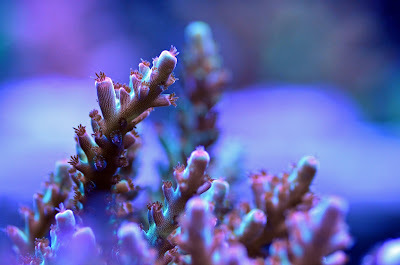 I took a few shots with the brand new Canon 5D Mark IV, the detail in the photos is very good compared to the Nikon D5100 but the color rendering is very similar. I finally finished going bare bottom, it took about ten 30 gallon water changes but I finally managed to remove all of the sand from my display tank. 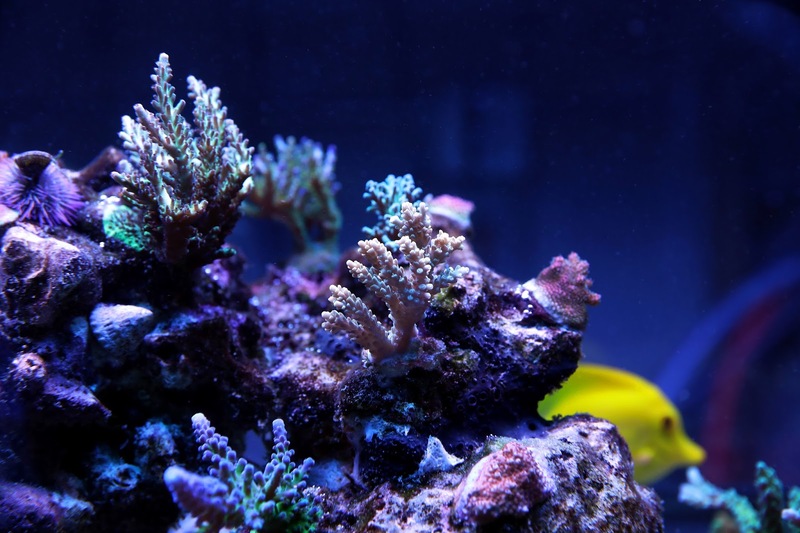 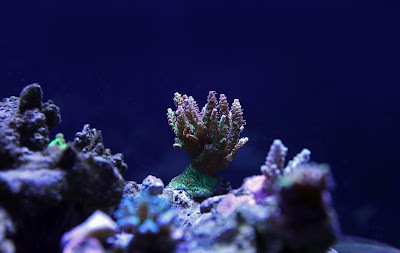 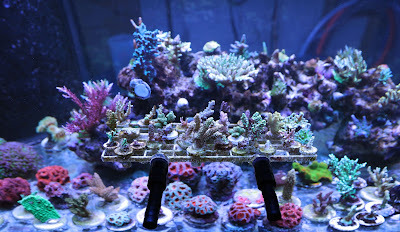 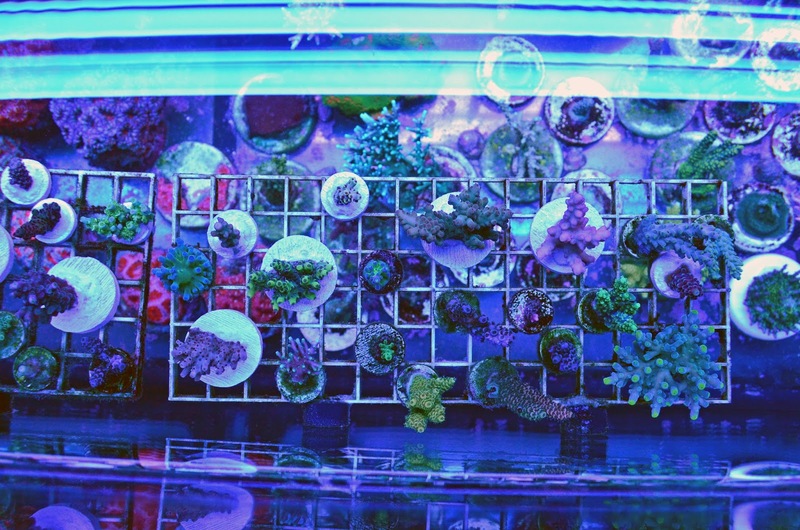 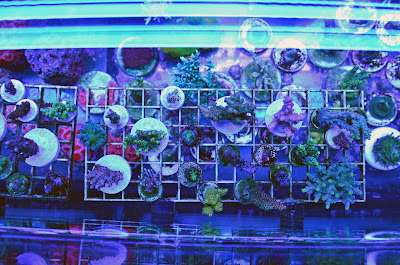 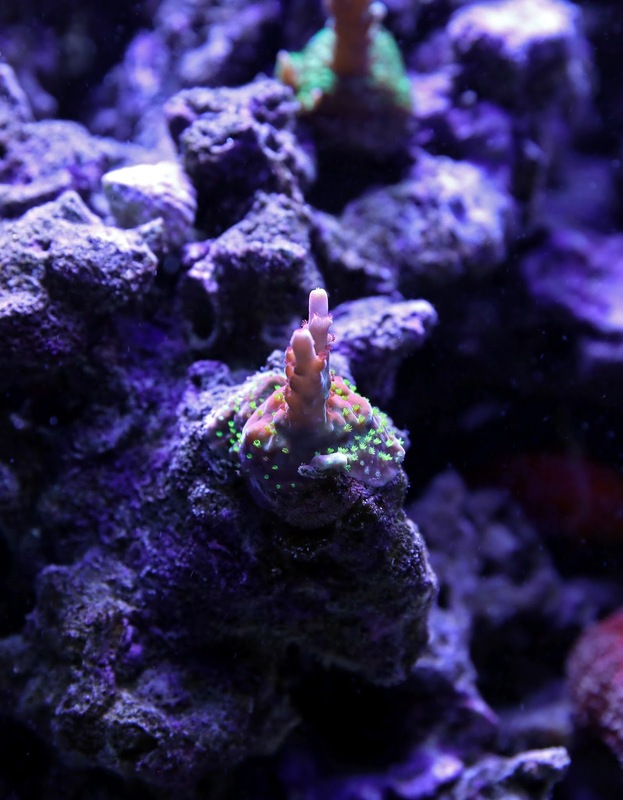 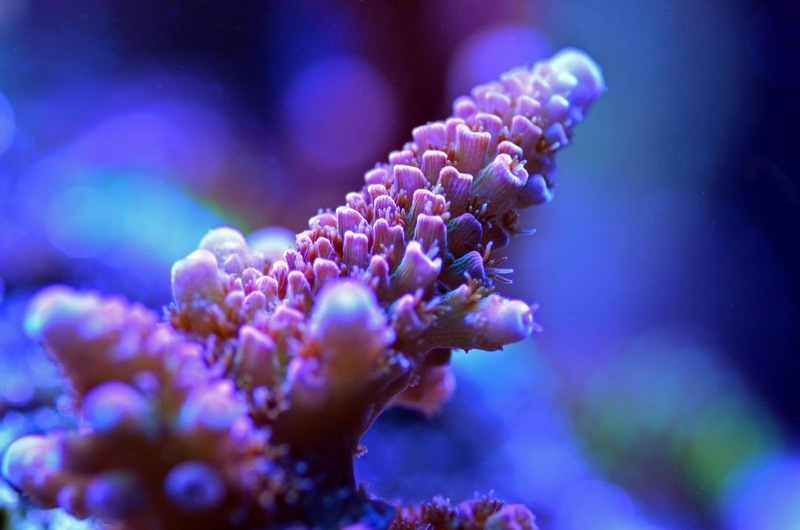 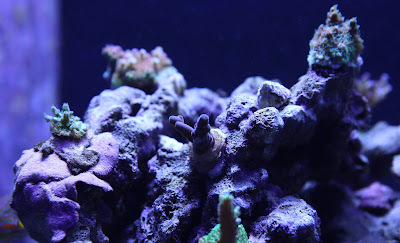 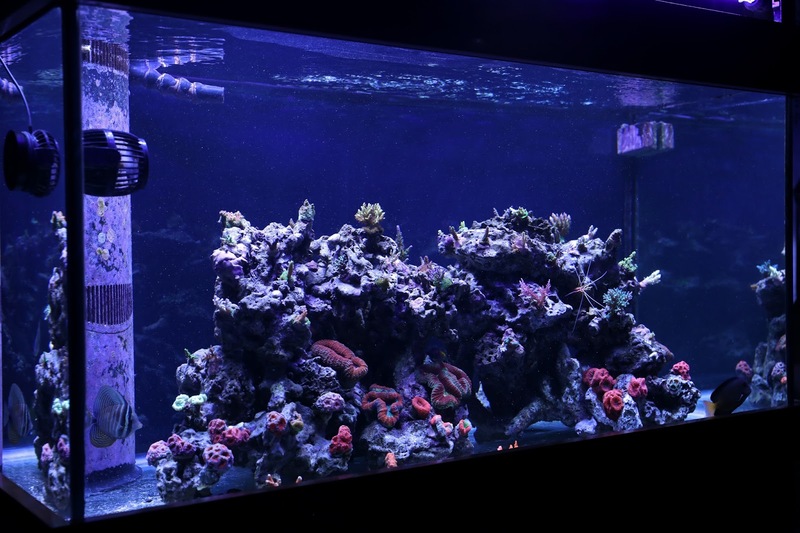 The colors have been getting better each week as well, I believe the detritus that floats around the tank due to the extra flow is helping to feed my corals.